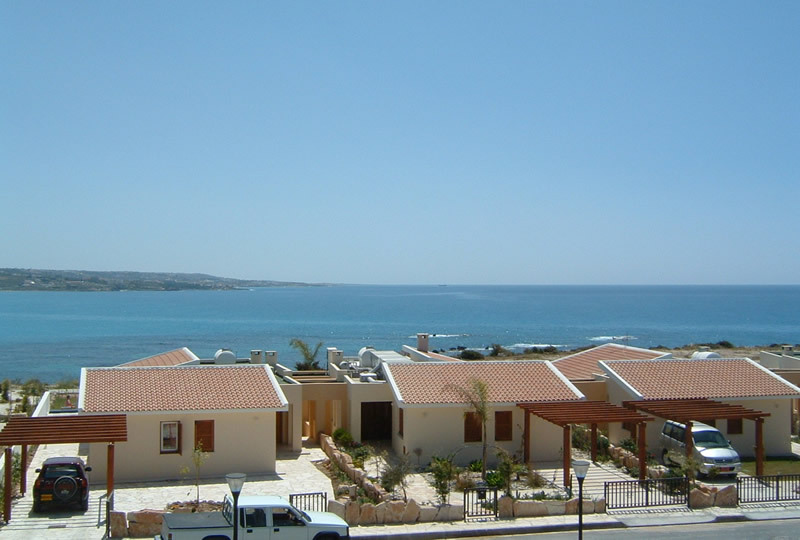 Villa Thisbe - Coral Bay Village, Paphos. Villa Thisbe - 2 bedroomed villa 5 minutes walk from the beach, yet only 3/4 minutes walk from the bars and shops of Coral Bay. Built in 2004, it has a private pool, off-street parking.and rear lawn.